Terry Richardson sexual harassment accusations: The photographer denies harassment and defends his art. 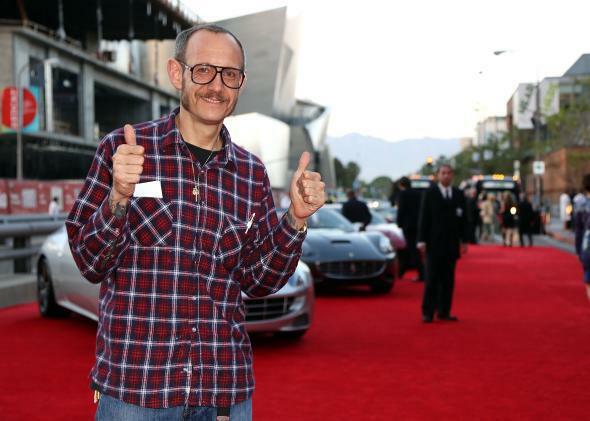 Photographer Tterry Richardson defends his art. Over the past four years, accusations of fashion photographer Terry Richardson’s creepy sexual behavior toward his models—including claims that he gets naked, requests sexual favors, and in some cases, ejaculates onto young female subjects when they’re not entirely jazzed about that situation—have mounted, without comment from Richardson himself. Today, he finally responded to what he calls “rumors” in a blog post published on the Huffington Post. Richardson’s response is half denial, half defense. He called the accusations a “witch hunt” that’s been “enabled and protected by the freewheeling and often times anonymous nature of the Internet,” then intensified by “sloppy journalists” beholden to “the on-going quest for controversy-generated page views.” But he also argued that the situations models have reported don’t constitute sexual harassment—they’re just the natural product of an artist at work. How useful is “transgressive” art when the artist is transgressing against his own subjects? Richardson’s not the first high-profile artist to use his career as a cover for alleged sexual offenses. The women who have accused Bill Cosby of sexually assaulting them say he lured them in by taking an interest in furthering their careers as actors and models. And Roman Polanski used his camera as a tool to gain access to his 13-year-old subject-turned-victim, Samantha Geimer. Years later, his supporters used his impressive body of work to argue that he should be free of legal scrutiny. Richardson takes the tactic one step further by arguing that harassment itself is the art. In Richard’s “gritty” autobiographical documentary, anything goes, as long as the camera’s there to justify the expression.